Many outreach workers make salaries that qualify them as “very low income” in Honolulu. Every year before Christmas, the Institute for Human Services opens up its holiday store. 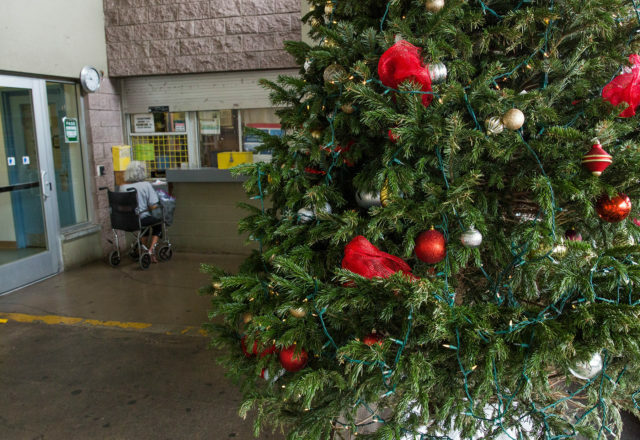 Staff arrange the donations of toys, games and household items in the agency’s Iwilei garage and for one day, homeless people staying at IHS’ eight shelters can select items, get those items wrapped and to give others as Christmas gifts. 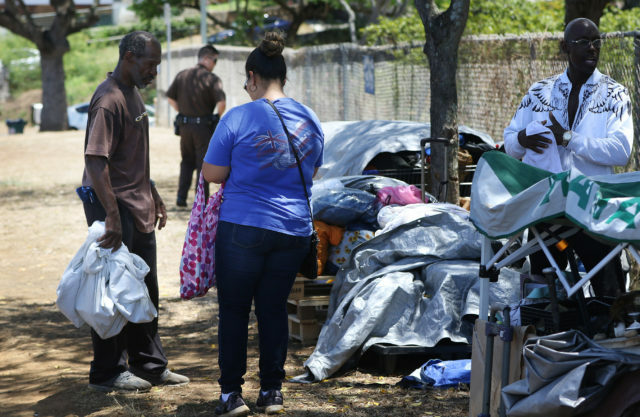 Homeless outreach workers and case managers are on the front lines in addressing Hawaii’s homeless crisis. But with a starting salary of between $30,000 and $35,000 for a case manager at IHS, those employees are struggling to stay afloat too. Some of the staff at the Institute for Human Services struggle to afford the high cost of living in Hawaii alongside the clients they serve. They’re making just less than what the U.S. Department of Housing and Urban Development considers “very low income” in Honolulu, which means 50 percent of the median income or $36,650 per year. “I’m a paycheck away from being homeless just like a lot of people that I work with,” said Jean Mooney, an outreach worker at The CHOW Project, a Honolulu-based nonprofit that runs the state-funded syringe-exchange program. Heather Lusk, the agency’s executive director, said the starting salary for outreach workers is $32,000. The Hawaii Employers Council survey of 62 outreach workers at 12 agencies found the median base salary of $34,886. The organization found a base salary of $45,935 in a survey of 63 case workers and social workers from seven agencies. Mooney, who has worked at The CHOW Project for five years and has an associate degree, used the agency’s services when she was addicted to drugs. Now that she’s back on her feet, she’s considering going back to school so she can start making more money. But at 52 and with half of her income going to rent and utilities, she’s also considering leaving Hawaii. If Mooney leaves, the state loses another homeless outreach worker at a time when demand for the work is high and many agencies struggle with vacancies. An outreach worker with an associate degree at Kalihi-Palama Health Center makes between $13 and $16 per hour, or $27,000 to $33,280 annually, said Darrin Sato, the agency’s chief operating officer. The health center has five to seven positions open for homeless-related work, in part because the low pay makes it hard to attract professionals to the field, Sato said. The agency can offer employees with a bachelor’s degree between $30,000 and $45,000 and salary ranges increase to the high $30,000’s to low $60,000 range for employees with master’s degrees in social work, Sato said. Carvalho said that low retention means IHS must spend their limited funds on training new hires. Every year for the five years Carvalho has worked at IHS, staff have come forward to ask for housing assistance through the programs that IHS offers to its homeless clients. The nonprofit, which operates Oahu’s largest homeless shelter, has a program that provides rental assistance to its own employees. Like outreach workers, police officers have frequent contact with the homeless. The Honolulu Police Department pays its metropolitan police officers a starting salary of $62,892 per year. The positions also offer the coveted pension promised to public workers. IHS and Kalihi-Palama Health Center offer employees 401(k) plans but the compensation isn’t as much as those offered to public employees. Ipo Paia, a state outreach specialist, talks with people along Magellan Avenue. Most social workers who offer services to Hawaii’s homeless don’t work for the government. Instead, they’re employees of nonprofit organizations that contracted by the city, state or federal government. A lot of money from government contracts is “pass through money” that’s required to be spent on services directly, like housing vouchers, Carvalho said. The Department of Human Services issues most of the state’s homeless-related contracts and the amount the department can give to agencies depends on the amount they get. Getting a larger piece of the government’s pie takes lobbying efforts. Aside from government contracts, money comes from private donors who typically aren’t inclined fund overhead. Noreen Mokuau, the dean of the University of Hawaii Manoa Myron B. Thompson School of Social Work, said students in her department don’t usually come to her with concerns about the low salaries offered in their field. 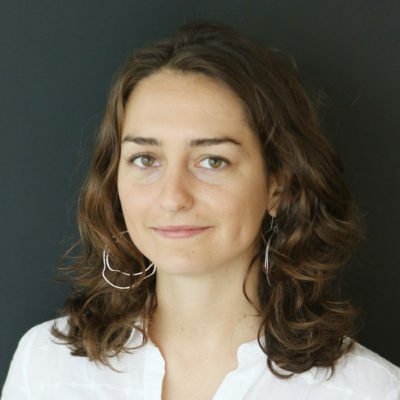 They’re more focused on understanding the social issues they’re being trained to address and driven by the intrinsic reward that comes from helping others, she said. “That doesn’t mean as a profession we shouldn’t go about and advocate for better working conditions, and that includes salary,” Mokuau said. She added that as demand for social workers increases in the U.S., now is the best time to start lobbying. Jean Mooney has worked at The CHOW Project for five years. Like other outreach workers in Hawaii, she’s struggling to make ends meet. People volunteer at soup kitchens to help others and boost their own spirits, but offering services to the needy 40 to 60 hours every week takes its toll. “We watch a lot of human suffering,” said Francie Julien-Chinn, a professor of social work at UH Manoa. A number of studies indicate the psychological stress social workers endure can lead to burnout, causing some to leave the profession. Outreach workers spend hours building trust with homeless people, finding them resources and scouring craigslist for an affordable rental. Going home to stress about their own living situation doesn’t help. “If you have a mentally ill (person) walking to a facility, he’s out of his mind, he’s urinating and defecating all over himself, that operations person’s gotta deal with that. That person’s getting paid minimum wage,” Carvalho said.